Specially made from polyester (600 denier), kingdom teak outdoor cushions provide outstanding quality. They are filled with a resin fibre sandwich which ensures extra firmness and guaranteed comfort. Covers can be easily removed for washing. The cushion is water repellent due to its PVC coating. The white foam filling also ensures that the cushion can be left outdoors in the rain as the water doesn't soak into the fibre. All outdoor cushions are 6cm in thickness to ensure a comfort. 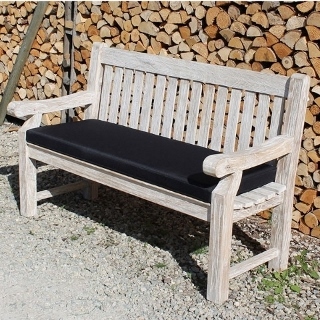 Outdoor cushion to fit 1.5m garden bench. 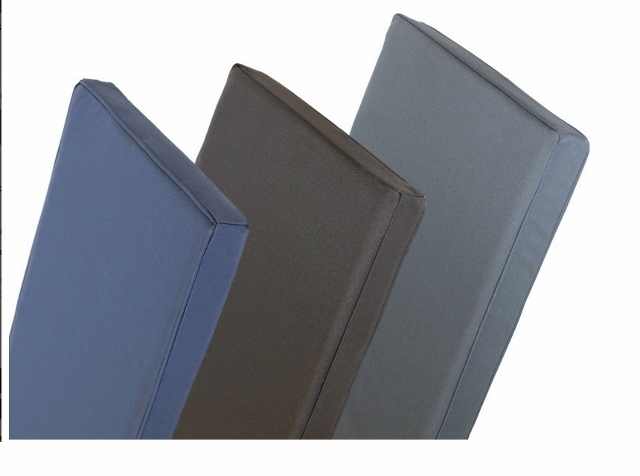 Polyester covers with resin fibre sandwich fill Find out more information about our bench cushions.